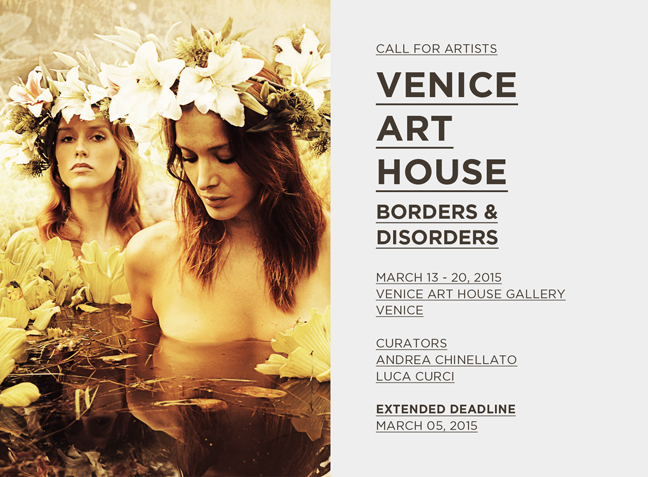 VENICE ART HOUSE – BORDERS & DISORDERS, contemporary art exhibition of photography, video-art, painting, installation and performance art, that will be held in VENICE ART HOUSE Gallery, from the 13th to the 20th of March 2015. 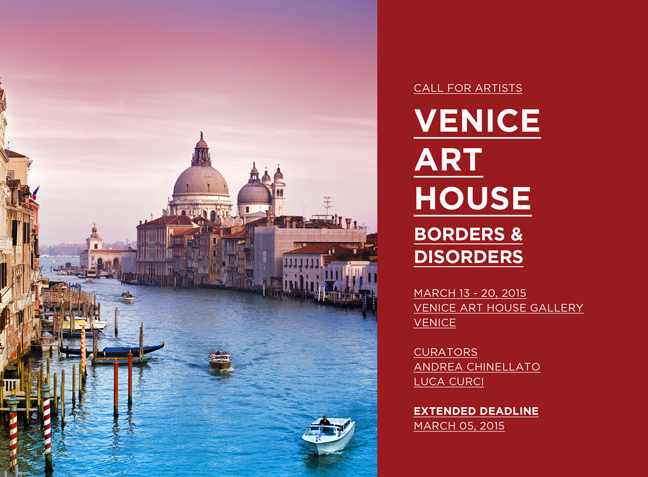 VENICE ART HOUSE – BORDERS & DISORDERS is the first event of a series, created through the partnership between It’s LIQUID Group and International ArtExpo with Ca’ Zanardi and Venice Art House. 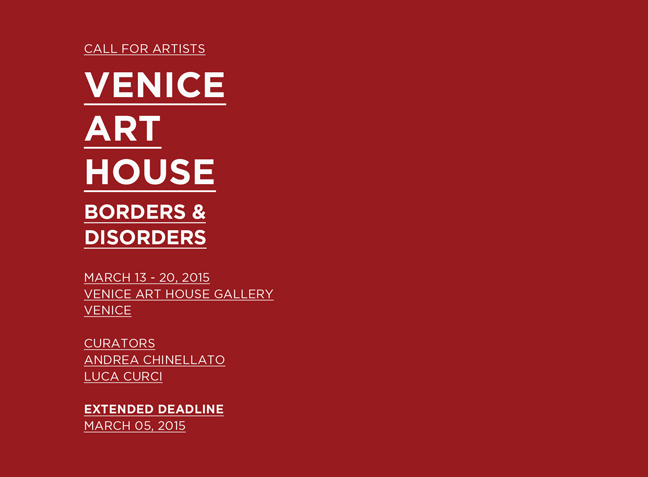 It aims to present contemporary artists in the heart of the city of Venice, in a new venue, Venice Art House gallery, located few minutes from Ponte di Rialto and Santa Lucia station. 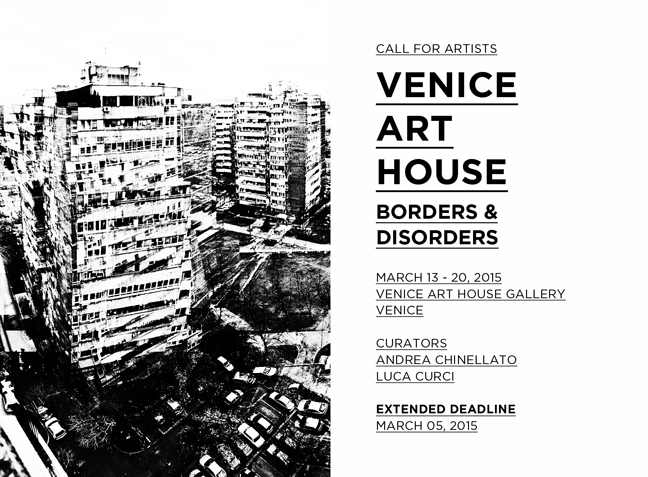 VENICE ART HOUSE – BORDERS & DISORDERS will be focused on the concept of “borders”, on how people feel the idea of borders and how this idea is linked with the concept of freedom. Borders, conceived as personal, geographical and cultural ones, can define our idea of freedom in contemporary society, or they can be considered as an obstacle to freedom which need to be broken by a single person or a social/political/cultural group to reach his/her personal freedom (current events in our world are an example of it). The event will also analyze the idea of urban and cities’ borders, how people live them, how they are modified in contemporary metropolis. To take part in the selection, send your works’ submissions with a CV/biography, some still images (for video-art), links of videos/performances/dances and pictures of artworks via e-mail to lucacurci@lucacurci.com. 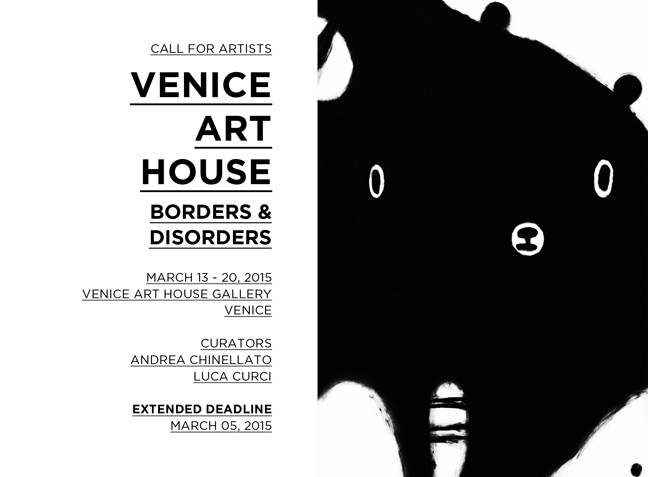 EXTENDED deadline for applications is March 05, 2015 (11.59 PM of your local time). The event will be curated by Arch. Luca Curci (Founder of LUCA CURCI ARCHITECTS, International ArtExpo and It’s LIQUID Group) and Andrea Chinellato (curator and director of Palazzo Ca’ Zanardi and VENICE ART HOUSE Gallery). The festival’s program will include video art screenings, movies’ projections, live performances and meetings with artists involved. Artists, photographers, architects, performers, dancers and video makers are invited to submit artworks, art videos, experimental films, performances art and dance pieces. EXTENDED deadline for applications is March 05, 2015. 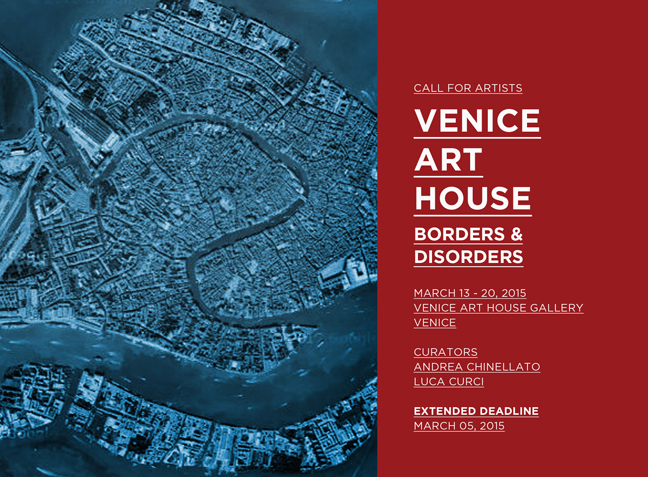 Venice Art House Gallery is the new exhibition space of Ca’ Zanardi, located in Venice (Cannaregio 1863C), with a dimension of 250 sqm and two water entrances. The artist William Herod is the artistic director of the space.